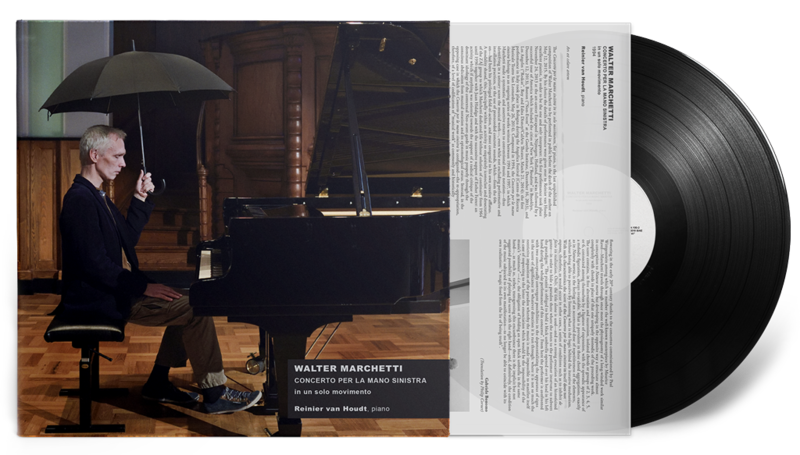 The Concerto per la mano sinistra in in solo movimento, for piano, is the last unpublished composition of Walter Marchetti to be performed in public before the death of the author on May 12, 2015. By his choice the details of performance were given over to Reiner van Houdt, excellent pianist, in order to be the one and only interpreter: the first performance took place November 24, 2013 at the art-center Extrapool in Nijmegen, Holland, and was followed by a successful tour of America which included the cities of New York (“Roulette” in Brooklyn, December 12, 2013), Boston (“Non-Event” at the Goethe Institute, December 16, 2013), and Los Angeles (“Redcat”, Roy and Edna Disney/CalArts Theater, March 21, 2014); the first performance in Italy took place in Bologna during the Angelica Festival (Centro di Ricerca Musicale Teatro San Leonardo, May 26, 2014). Composed in 1994, the Concerto per la mano sinistra belongs to an ongoing series of works written between 1994 and 1997, in which Marchetti made a systematic and assertive return to conventional music notation—thus identifying in a unitary score the musical work—, even while not excluding performative and installation practices, or the use of prerecorded concrete sounds, which—from the 60s on—had been his privileged field-of-action, and most congenial to his own creative afflatus. A modality shared, this, principally within an activity so exquisitely iconoclast and desecrating of the ZAJ group to which Marchetti dedicated life without solution of continuity from 1964 until 1996 together with Juan Hidalgo and with the successive support of Esther Ferrer: an activity which if anything was oriented towards the support of a radical critique of the dominant ideology of the contextual Neo-avant-garde in music properly through the conscious abdication from musical notation and its epistemological status. Instead, in the opposing case in which the Concerto per la mano sinistra is configured—the re-appropriation, therefore, of a level of codification of “musical work” as commonly and historically understood—for Marchetti it had to be taken on without equivocation the signification of maintaining unaltered his own very radical critique, always and invariably oriented towards a metalinguistic reflection, to subvert thusly the sense of semiological data which he appropriated. The Concerto per la mano sinistra explores this threshold of reflection, as we have already premised, in parallel with other works composed during the same years to which one can therefore relate them conceptually: Con vista sui suoni, for piano, of 1994, Otto o nove movimenti per quartetto d’archi of 1995, and La perdita del tempo, sixty-four movements for eight orchestras, or eight octets, or eight organs, from 1997, but which develop the seed originating in a preceding composition, going back always to 1994, whose composite allegorical title is already indicated by the allusion to a literal emptying of meaning from classic forms which he wishes to parody there: Variazioni canoniche per orchestra sul tempo prolassato dallo sviluppo a singulto della marmellata di ciliege nere (Canonic Variations for Orchestra on Prolapsed Time From Development to Hiccup of Black Cherry Jam). 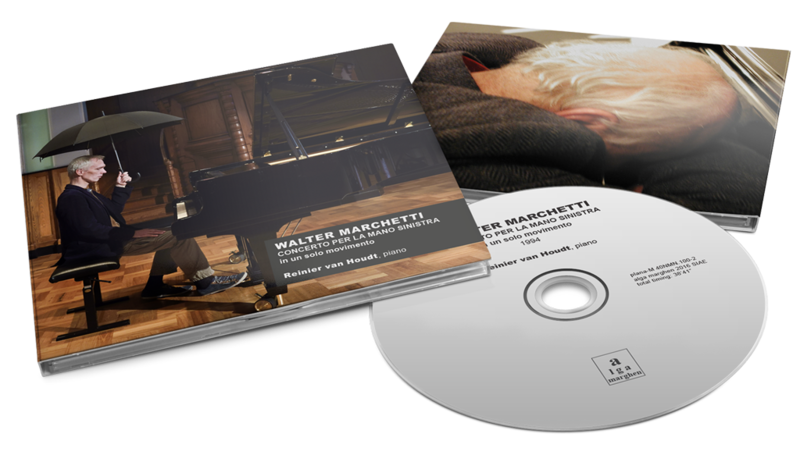 A number of years after the compositional beginnings of Marchetti, born on the waves of original adhesion to the most advanced currents of the Neo-avant-garde in music of the second half of the 50s, first under the tutelage of Bruno Maderna in the period of the Darmstadt Ferienkurse, then connected to an exploration of indeterminate processes following a meeting with John Cage, this series of works now intentionally restores the link to notation as presupposed in the formalization of a musical work, a link which had been up to now abjured. 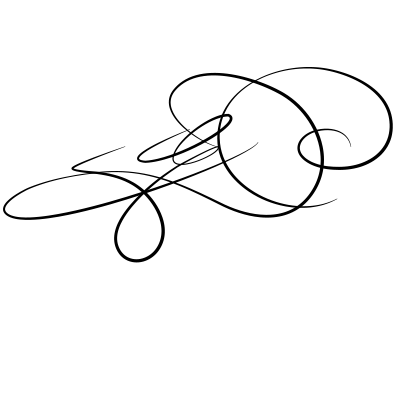 They were not, however, an exception in Marchetti’s catalog: besides several successive branching-off, it was eminently with Natura morta for piano dating from 1980, that musical notation reappears in a tangible form for the first time as vehicle for the codification of a score, significantly in any case going back to the representation of its own transience as if the notation and the pianistic execution intervene within a more complex symbolic disposition—the installation of a piano decorated with all sorts of fruit and vegetable—where the iconography of vanitas_ is openly called forth. What was of interest to Marchetti in a particular way in this recourse to the expedient of musical writing—already to a certain degree in the example of Natura morta—is manifestly the idea of weakening the meaning of the rigid normative apparatus of a musical score, with the purpose of annihilating the factual potential of his system of prescriptions. With a precise finality, therefore, which corresponds in toto to the eidetic vision of the musical conditions which so many times Marchetti has expressed more specifically with visual and plastic methods, always understood as “natural extensions of music”, that peculiar form of dematerialization of the music without the use of sounds: otherwise, to visualize in plastic terms a music which succeeds in confronting itself with the limits of its own “impossibility” to manifest itself by the sounds. In the works already cited to which the Concerto per la mano sinistra might be associated, the entire dispositive was put into action to cause the musical notation to be oriented towards a music per se unplayable, whether by the elephantine development of its duration or by the performative limits intrinsically prescribed for the interpreter and imposed as an obligation (we will not examine here the details of these works, recalled only to better define the context in which the genesis of Concerto per la mano sinistra can be linked. Here, on the contrary, the conceptual discrimination of this threshold assumes a still more subtle configuration than by being behind a double status of ambiguity. Recuperating the topos of the Concerto per la mano sinistra—a topos which has its origin in the virtuosities of the Romantic period but which would know, as is known, an extraordinary flowering in the early 20th century thanks to the concertos commissioned by Paul Wittgenstein among which we number the well-known masterpiece by Maurice Ravel—Marchetti travels through once more the physiognomy of a long-winded work similar in conception to Natura morta but developing in the opposite way a structure almost completely with chords in place of that one uniquely monodic of the preceding work. The score contains, in free alternation and succession, isolated chords or groups of 2, 3, 4, 5, or 6, connected among themselves by a ligature of expression, with the sporadic appearance of a melodic figuration, always invariable. What is prevalent in these chord aggregations, exactly as in Natura morta, is the feeling of an accentuated dose of repetitiveness of the elements, without being able to perceive by listening what is the logic behind the iterative mechanism. With such characteristics the score of the Concerto per la mano sinistra in itself does not express, therefore, as would occur in other cases, a series of conditions such as to inhibit de facto its realization. Only, the title alone is used—and so a strong evocation of an historicized genre—in order to hide a paradox there where the notes to the performer intervene to subvert the paradigm: “The pianist is obliged to hold a black umbrella opened over his head in his left hand during the whole performance of this concerto”. From here the performer is confronted with two conceptually convergent possibilities in the depotentializing the apparatus of signs in the score of significance in whatever direction it is run through: where it is not so much the restrictive imposition of the paradox whereby the music is made impossible to manifest itself in case of respecting to the letter the enunciation which would be the impossibility of the music’s “existence”—i.e., the obligation of holding an open black umbrella in the same hand—, as much as, rather, transgressing this encumbrance there is the implicit but not suggested possibility of playing the score with the right hand—and, definitively, the condition of the music subjected to its own manifestation—to no longer be able to coincide with its own realization: “a magic freed from the lie of being truth”. cosa!? uhmmm cosa cerchi? un suono? cerca imprendibile ehi! i pensieri volano trova trovato? non inseguirmi! seguimi!